The Global Church Learning Center houses more than 150 interactive training curriculum courses by renowned Christian leaders from every major world region. 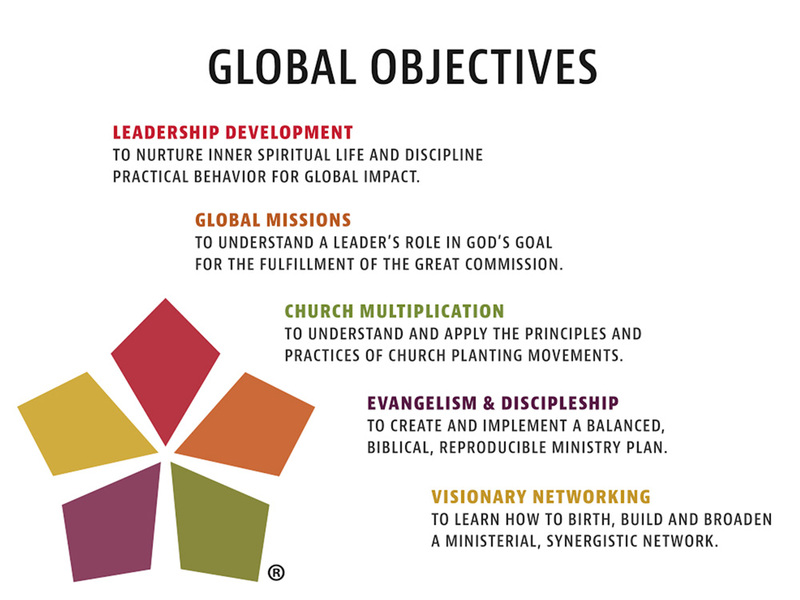 The Global Church Network is offering this global church training in four levels of membership: Core Membership, Unlimited Membership, Unlimited Team Membership and Advance Studies Membership. In addition, a limited number of Global Church Scholarships are available. A qualifying pastor/leader must apply for the scholarship and, if approved, will be notified by email. The Global Objectives are time-tested in every world region and bring focus to each training session. A pastor/leader will discover that each training course has been prepared with various cultures in mind, and that each segment is both stimulating and rewarding. The core and elective courses in each of these areas are geared towards church planters and pastors/leaders who want to grow in their personal and professional ministries. At the same time, Global Church Network does not compete with Bible Schools, Institutes or Seminaries, and GCLC training does not compete with or replace ordination of men and women for ministry. Rather than teaching everything that there is to know on a particular topic, each global teacher has presented the very essence of the topic’s most important concepts. He/she has provided wisdom, knowledge and application from life experiences and from personal study intended to provide dynamic outcomes for pastors everywhere. 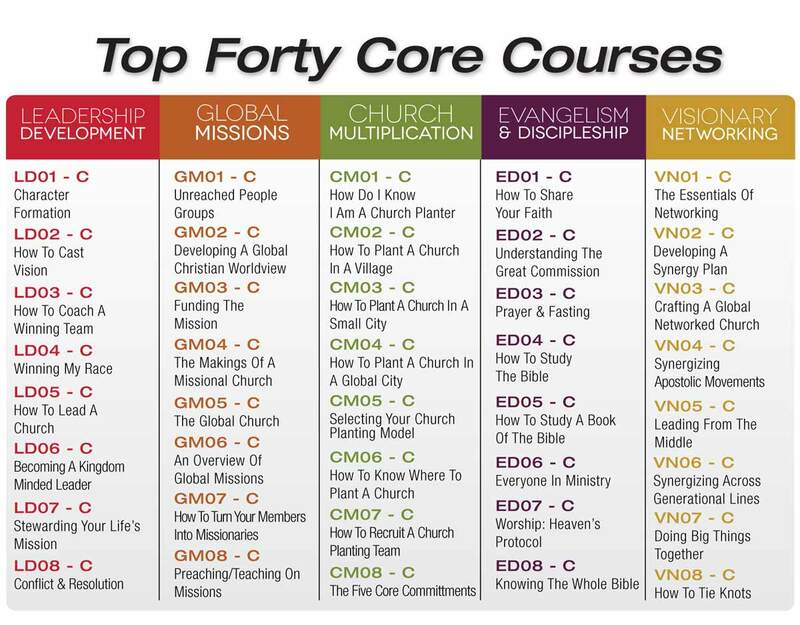 In addition to the Top Forty Core Courses, there are 110 more Global Church Learning Center electives. 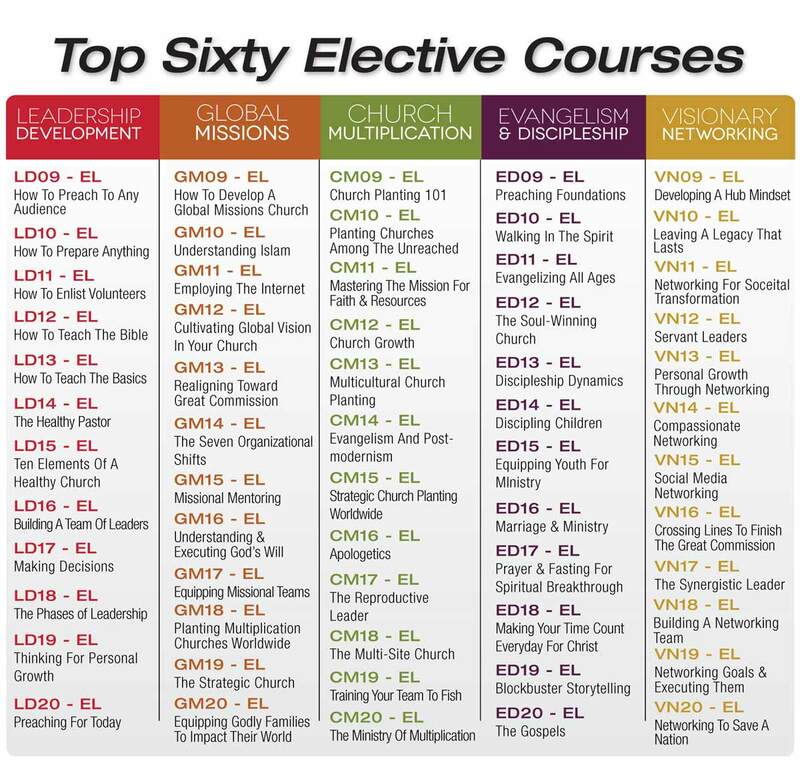 These 110 electives are designed with the same cutting-edge methodology but continue to move the pastor/leader through higher levels of knowledge and application for powerful results. The Global Church Learning Center also includes the Global Church Library, designed to augment these phenomenal courses and to become the international bank of the finest Christian resources in the world. All GCLC courses are tailored to be visually attractive, doctrinally vital, interactively engaging and able to be distributed through personal downloads and Internet streaming. 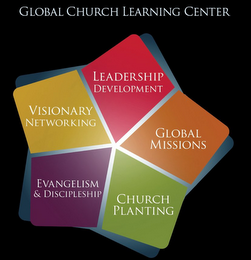 The philosophy behind the Global Church Learning Center is that the Church has moved from the “West going to the Rest” to the “Best worldwide going to the Rest worldwide.” Each pastor/leader and team will discover that this global/local teaching has never been offered before in the Body of Christ! 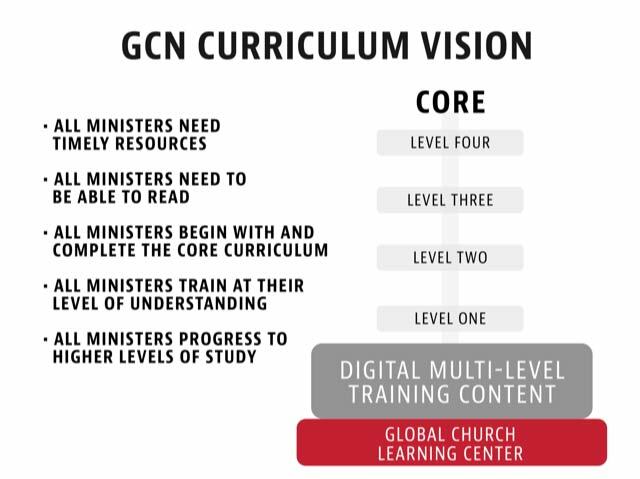 The Global Church Network recognizes the time demands of ministry and realizes the high cost factors of continued training and education in the 21st Century. From anywhere in the world, you have the opportunity to take GCLC courses. It is now possible for you to obtain the finest teaching while continuing part-time or full-time in ministry without incurring astronomical debt. You do not have to stop what you are doing and relocate to a new city in order to receive the ministry training that will help you to be successful in fulfilling your divine destiny. Through the Global Church Learning Center, you have the opportunity to work through many certificate levels (Bible, Preaching, Pastoral Ministry, Leadership, Missions and Wisdom). You can also choose the Advance Studies Membership. With an Advance Studies Membership, you will have all the benefits of an Ultimate Membership, which includes more than 150 training courses and hundreds of training books, audios, videos and articles. There are two entry doors into the Advance Studies Program. 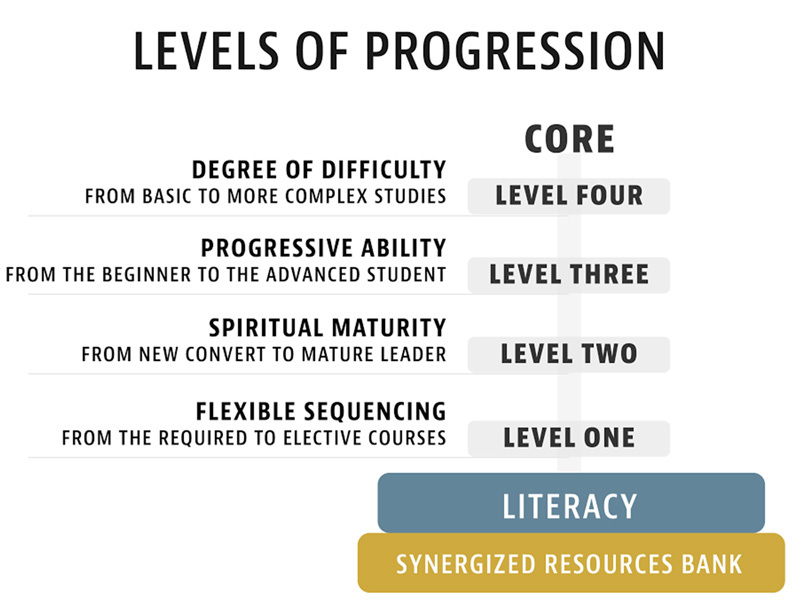 First, once you have completed the “Wisdom Certificate Level” (40 core courses and 20 electives), you can then move on to the Advance Studies Program. Second, if you have an earned Bachelor's or Master's Degree from a Bible College, Seminary or University, you can opt out of the GCLC Core & Elective Courses and begin your Advance Studies Program immediately. The Advance Studies Membership comprises twenty courses in the areas of Spiritual Formations, Bible Exposition, Leadership Skills and Evangelism/Discipleship. These twenty courses include various readings, some research papers and tests, all designed to equip you with the best knowledge/understanding for future effectiveness. The Advance Studies Program can be completed in one-year. The cost is only $695, plus a $35 non-refundable application fee. 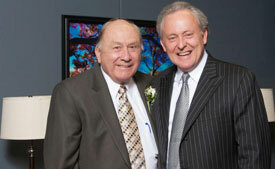 Dr. Elmer Towns, Cofounder of Liberty University and CoChair/Dean of GCLC, and Dr. James O. Davis, Cofounder of Global Church Network, are the proctors for the Advance Studies Program. 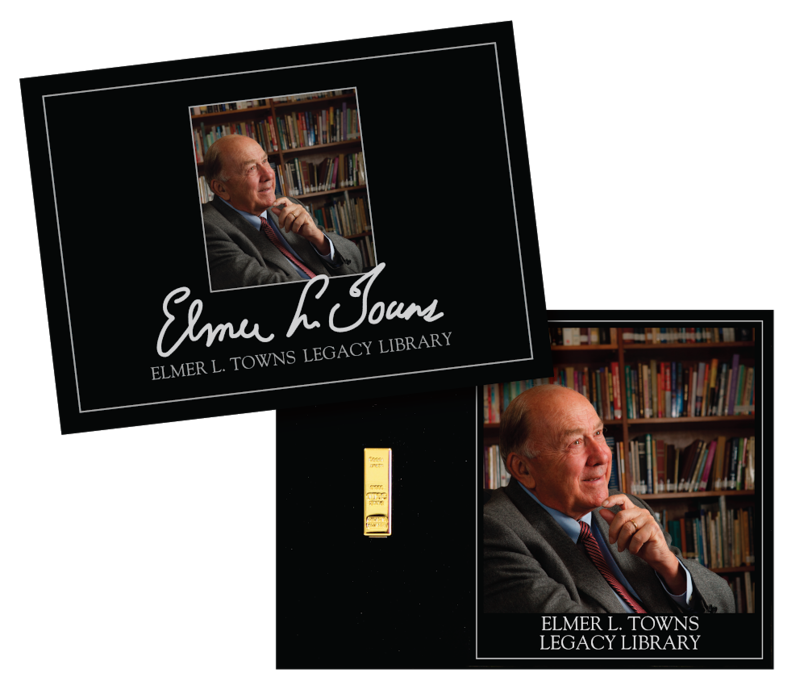 With the Advance Studies Membership, you also receive full access to the Elmer Towns Legacy Library www.ETLL.tv, a remarkable resource for pastors/leaders that alone is valued at $15,000. Fill out the GCLC Advance Studies Application (a non-refundable $35 fee is required). Click here to fill out the application. Once your GCLC Advance Studies Application has been accepted, your tuition cost is only $695 for the entire program, including the Elmer Towns Legacy Library. In order to enroll or obtain further information call 417-861-6645 and ask for Robin Macintosh.